Our main Sunday service takes place at 10.30am. Children’s Church groups meet which cater for children aged 3 upwards. With growing numbers of young people, our Children’s Church meet in the Parish Church Hall, located at the rear of the Church. There are Children’s activities every week too, with the 2nd Sunday of the month being our All-Age Family Service with Baptism which is preceded by a 9:00am traditional service of Holy Communion taken from the ‘Book of Common Prayer’. 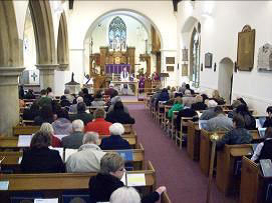 We hold a short midweek service of Holy Communion which takes place every Thursday morning at 10.30am. 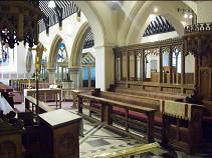 The Church is open for visitors on Friday Mornings from 10.00am until 12:00pm. There is a prayer candle stand, for those who wish to light candles with their prayers, coffee and tea is also available together with a selection of Christian greetings cards. So why not pop in and have a look around - you will receive a warm welcome. On the 2nd and 4th Mondays of each month the Church is open from 10:00am - 12:00pm for our ‘Bereavement Coffee Drop-in’, once again everyone is welcome. Our Noah’s Ark Baby and Toddler Group meets in the hall on a Friday from 9.30am. 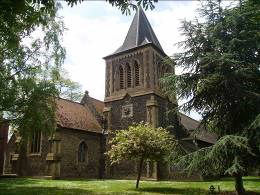 Church Car Park access via West St.
St. Peter & St. Paul’s is the ancient Parish Church of Grays Thurrock. The building is ‘Grade II Listed’ and is an expression of nearly 1,000 years of Christian belief and worship within the community of Grays. The earliest parts of the present building are thought to have been built around 1100AD and in the years that have followed it has been much altered and extended. The most recent alteration was a major reordering and repair programme which took place during the spring and summer of 2008. 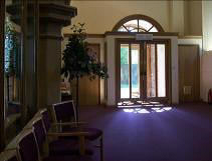 Following the closure of the building for six months, the church reopened in September 2008 and has since won a number of design and architecture awards as an outstanding example of church reordering. The building is now accessible, warm, bright, comfortable and welcoming together with modern toilet and kitchen servery facilities. 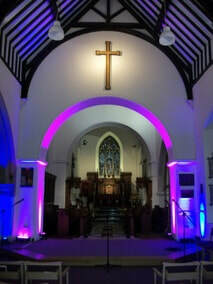 The church is a very popular location for Weddings, Baptisms and concerts, seating up to 250 people. Enquiries should be made to the Rector.